Eye See … Eye Learn® and Fribbit are registered trademarks of the Alberta Association of Optometrists. Our Doctors of Optometry, Drs. Charania, Leekha, Argatoff and Malik, are delighted to participate in Eye See … Eye Learn® to bring clear vision and quality eye care to our Kindergarten patients. 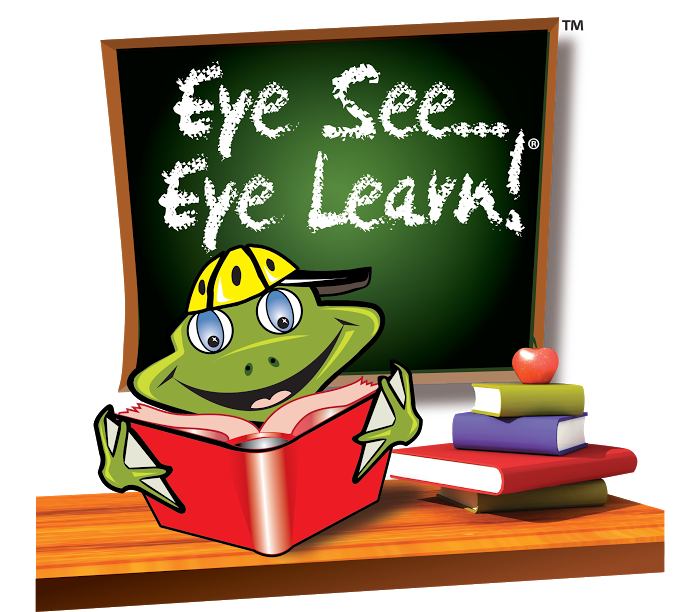 In Eye See … Eye Learn®, Kindergarten children are provided with doctor-delivered eye health and vision care, and when there is a vision disorder, prescription eyeglasses at no charge. We know that young children’s academic and developmental success depends greatly upon their ability to see clearly and comfortably. We know how important it is that they get a good start in their young lives, and we are determined that there be no financial deterrent barring them from enjoying good vision. Thank you to Essilor Vision Foundation, WestGroupe and 20/20 Accessory Source Ltd. for their generous corporate sponsorship for Eye See … Eye Learn®. Abbotsford (SD 34), Burnaby (SD 41), Central Okanagan (SD 23), Chilliwack (SD 33), Coquitlam (SD 43), Cowichan Valley (SD 79), Delta (SD 37), Greater Victoria (SD 61), Maple Ridge & Pitt Meadows (SD 42), Mission (SD 75), Nanaimo-Ladysmith (SD 68), New Westminster (SD 40), Prince George (SD 57), Saanich (SD 63), and Surrey (SD 36).